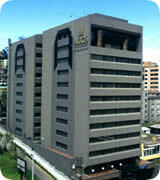 Akros hotel, is located in the Executive, Financial and Business District of Quito, it is close to the most important commercial malls. 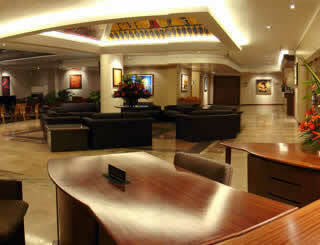 Spectacular modern building designed and fully equipped for the utmost security and comfort of its guests. 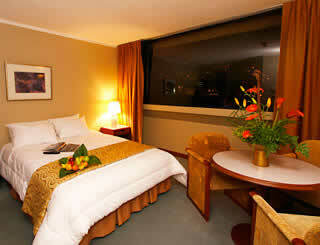 All rooms & suites provide a superb panoramic view of the entire city of Quito. 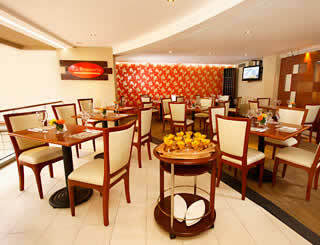 A grand Hotel with splendid food and atmosphere, rates are very special. Location: Business District 3 blocks. Colonial Historic Centre 4 miles, Major Shopping Malls 3 blocks, Indian Village 20 miles, Paradise Valleys 3 miles, Main City park 2 blocks. All rooms and suites have Color Cable TV, Direct Dial and Internet, Complimentary Newspaper, Mini Bar, 110 and 220 Voltage, Bathroom Phone, Hair dryer, Full Amenities.